All our distribution facilities located in Plattsburgh, New York, Las Vegas, Nevada and Irving, Texas have been awarded VAWD accreditation, demonstrating to our customers that we ensure the safe distribution of prescription drugs. VAWD is an accreditation developed and administered by the National Association of Boards of Pharmacy, whose goal is to ensure that prescription drugs being distributed from wholesalers to pharmacies have not been counterfeited, contaminated or diverted. 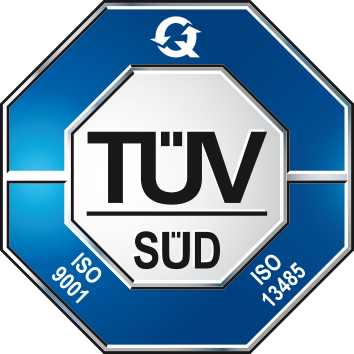 MEDISCA’s commitment to quality has been recognized with an ISO 9001:2015 certification from TUV. Achieving this certification demonstrates to our customers, suppliers, and competitors that MEDISCA is deeply committed to the quality of our products, the satisfaction of our customers, and the continuous improvement of our internal processes. This great accomplishment is the result of the strong commitment and collaboration from each and every employee at all of MEDISCA’s locations; the certification encompasses our Canadian facilities in Montreal and Vancouver, our American facilities in Plattsburgh, Dallas and Las Vegas, as well as our Australian facilities in Sydney. MEDISCA is proud to be ISO 13485:2016 certified. Having this certification demonstrates that we have established and are maintaining a robust quality management system to ensure that the design, manufacturing and distribution of medical devices are executed in a manner to increase patient safety and product efficacy. This achievement validates MEDISCA’s commitment to quality and to provide medical devices that consistently meet customer and regulatory requirements. At MEDISCA, quality is the responsibility of everyone involved in the product life cycle, which is why there are several steps we take to meet our quality standards. The first step is the sourcing of quality assured products from FDA registered manufacturers with FDA registered NDCs. MEDISCA is present throughout the world, sourcing and securing high quality products that conform to the latest editions of USP, BP, EP and other compendial pharmacopeias. Once we receive a product from a vendor qualified manufacturer, it undergoes rigorous physical inspection, sampling and testing. 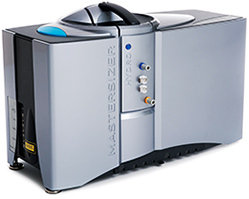 The release of a product is also contingent on internal testing, such as an identification test using Fourier transform infrared spectroscopy (FTIR) and particle size distribution using the Malvern Mastersizer 3000. All Active Pharmaceutical Ingredients undergo compendial testing, performed by third-party, FDA registered laboratories. This evaluation provides adequate evidence that the manufacturer can consistently provide APIs meeting monograph specifications. For Non-APIs, ID testing is also performed on each lot received at MEDISCA. 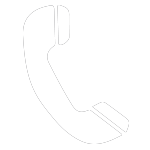 After a product passes initial testing, results are verified by our Quality Control specialists, who will ultimately determine whether a product gets accepted or rejected for production and released to our customers. MEDISCA continuously seeks ways to increase the standard of quality of its products by applying different technologies to control batch-to-batch variations of raw materials. We take pride in the opportunity to make an important contribution to the quality of preparations compounded in laboratories and pharmacies across the world.